Allergies in dogs are more common than you may think, and should not be confused with food intolerance. Intolerance is dealt with in a completely different way than allergies. Regardless, if your pooch seems to be having digestive issues or a reaction to his food, you need to take him in to see a veterinarian right away. Food allergies in dogs are a result of your pup’s immune system overreacting to an invading ingredient contained in his dog food. Nearly all of the pet food your dog eats has ingredients that could cause an allergic reaction in the dog. As with people, most dogs will only be allergic to one ingredient, but some have reactions to multiple ingredients in their diet. That's why it is best to bring your dog in to the veterinarian if you suspect he has a food allergy. They can test to find the exact cause of the allergy and help guide you in beneficial ways to change Fido's diet to cope with the allergy issue. Allergies in dogs manifest themselves in a lot of ways, but one sure way to tell if your dog has allergies is by observing for anything ranging from chronic ear inflammation, digestion problems – often characterized by constipation, chronic diarrhea and chronic gas – constantly licking his feet, or scratching his rear end and ears. Basically, any significant changes in your dog's regular behavior should be seen as a symptom that something is wrong with his diet. As of now, there is only one sure way to diagnose food allergies in your dog accurately, which is through an elimination diet and challenge. This is usually done by taking the dog off all the food he eats on a day-to-day basis and introducing new food that he’s never had before. Common foods used in this process include kangaroo, oatmeal, venison and potato. This prevents the immune response system from being triggered. Once the dog has shown signs of improvement, the old foods that are thought to have caused the problem are slowly re-introduced. If he shows a reaction to the old food, then there’s something in the ingredients that his body doesn’t agree with. This could, however, take weeks to be observed. To rule out allergies, you should probably take your Fido to see a vet and have him tested for any infections or any signs of malnutrition. Allergies are impossible to get rid of, and containing them can be really difficult. There are a couple of things you can do to help your dog fight them off. Just be sure to speak with your vet before trying to control your dog's allergies on your own. The stomach lining of dogs is comprised of structural and immune system components to prevent absorption of overly large proteins. It also aids in recognizing potentially dangerous contents in the intestinal tract. In effect, the canine stomach lining functions as the first line of defense against allergens. This lining can be promoted by ensuring that our dogs are properly provided with adequate nutrition, good quality dog food brands and proper health care. There are theories that stomach flu (gastroenteritis) in puppies at a young age leads to dogs that are more prone to food allergies. This, of course, is just a theory and is easy to get your head around – don’t let your dog eat anything you’re not sure of. However, since dogs eat a bunch of things that we don't provide for them like grass, dirt, cow dung and wild berries, it’s hard to tell exactly what goes on in a dog’s mouth. For this reason, don’t let your dog eat from a garbage can. If he does happen to and stomach upsets result, it’s best to feed him low protein meals (boiled rice or potatoes for example) until his digestion is back to normal. If your dog exhibits a case of diarrhea that lasts more than three days without any signs of improvement, don’t attempt to treat him yourself with over-the-counter medication; instead consult a vet as soon as you can. Your dog should, on the normal occasion, have no problem digesting proteins. If you are feeding a homemade diet – cooked or raw dog foods – grinding or blending the protein source in a food processor will be helpful in significantly improving protein digestion. In kibble-fed dogs, the protein is usually already ground before it is kibbled, so there should be no need to grind it beforehand. When picking out food for your dog, ensure you pick a brand with exclusive sources of proteins. Food with only one or two protein sources, typically like homemade dog food – will make for a good fit if your dog starts to show signs of allergies. If for example, you feed your dog food that has five different protein sources (e.g. chicken, beef, turkey, salmon and tuna) and he ends up with an allergic reaction, you have to find an alternative food that does not contain any of these ingredients. It’s just as difficult as it sounds, singling out what exactly your dog is allergic to. Don’t get frustrated though, since some dogs are more prone to developing food allergies at some point in their lives than others. Allergies are also multi-factorial and can occur as a result of a genetic trait passed down from earlier generations, so it may not be your fault at all. Just a case of selective breeding gone wrong. Novel protein and hydrolyzed diets could potentially help you to curb the issue of dog food allergies and are only available on prescription. They are superior to those that can be easily bought over the counter, since the latter type often contains some amount of the common food allergens. 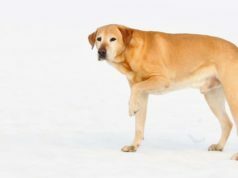 A novel protein basically refers to a protein source that is completely new to the dog, and reduces the chances of an immune response by tenfold. Hydrolyzed proteins, on the other hand, are made when intact animal proteins that are broken down into incredibly small molecules. Hydrolyzed proteins trick the immune system, and it should not be able to recognize these molecules as allergens. Thus, eliminating the possibility of any sort of allergic reaction. Dealing with dogs that have food allergies is really challenging and downright frustrating at times. I know because my golden retriever has had food allergies all his life, and trying to find out what exactly it was that caused the problem was an endless, tedious goose chase. He would often end up regurgitating all the food he ate, scratching up his ears like crazy and biting off his fur coat like he was infected with fleas. We ended up changing his whole diet with a lot of help from the vet. Our vet also directed us to a canine nutritionist, and it became much easier to find novel protein sources for him. What’s more, these types of diets are more readily available now than they were all those years ago. Once you find out what to get rid of, it will all get better. On the same note, it is very important that you work with your vet in trying to deduce what dog foods you should stop feeding him and what to get him now that you’ve discovered he’s allergic to something in his diet. If you’re trying to pin down what is causing the allergic reaction, make sure you ask the vet for help. Randomly eliminating some ingredients from your dog's diet without the input of a veterinary nutritionist is generally a bad idea, as it will most likely result in nutritional dietary imbalances. Worse still, it may not help you to identify the underlying problem.